"Prison Break" star Wentworth Miller has declined an invitation to a film festival in Russia, saying that as a gay person, he could not in good conscience go in light of Russia's crackdown on gay people's civil rights. 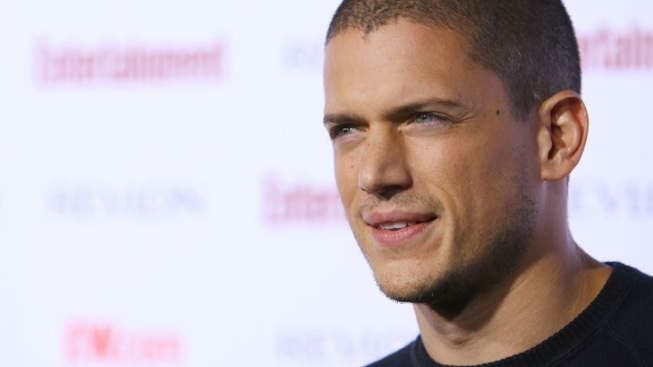 Wentworth Miller has come out as gay. The "Prison Break" star decided it was time to publicly reveal his sexuality after being invited to attend a film festival in Russia. "Thank you for your kind invitation. As someone who has enjoyed visiting Russia in the past and can also claim a degree of Russian ancestry, it would make me happy to say yes," Wentworth, 41, says in a letter to Maria Averbakh, director of the St. Petersburg International Film Festival. "However, as a gay man, I must decline. "I am deeply troubled by the current attitude toward and treatment of gay men and women by the Russian government," he continued in the letter, posted on GLAAD's website. "The situation is in no way acceptable, and I cannot in good conscience participate in a celebratory occasion hosted by a country where people like myself are being systematically denied their basic right to live and love openly. He also said "if circumstances improve, I'll be free to make a different choice." GLAAD spokesman Wilson Cruz praised Miller's actions. "Wentworth's bold show of support sends a powerful message to LGBT Russians: you are not alone," Cruz said. "As people from across the globe continue to speak out against this horrific law, more celebrities and corporations should follow his courageous lead in openly condemning Russia's anti-LGBT law."